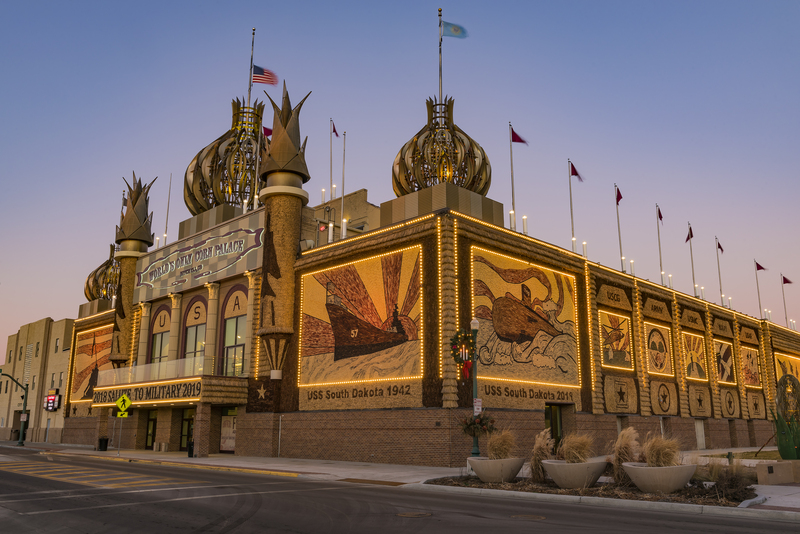 MSN recently named the World's Only Corn Palace as South Dakota's Oddest Tourism Spot in their recent article, "50 Road Trips for 2019: The Oddest Tourist Spot in Every State." The World’s Only Corn Palace stands as a majestic, uniquely American, folk art icon on the rolling prairies of South Dakota. Mitchell’s First Corn Palace was built in 1892, when the City of Mitchell was just 12 years old. Early settlers displayed their agricultural bounty on the building’s exterior to prove the fertility of the soil and to attract immigrant farmers to settle here. Each fall a festival was planned to celebrate agriculture and the productivity of our people. To this day, over 125 years later, the tradition of the Corn Palace and the Corn Palace Festival continues in Mitchell. The Corn Palace that now sits on Main Street between Sixth and Seventh Avenue is actually the third Corn Palace in Mitchell, but it’s purpose hasn’t changed. It is a folk art wonder that attracts thousands of visitors each year and it is the center of community activity, hosting basketball games, stage shows, trade shows and a variety of other activities. The Corn Palace has evolved into a one-of-a-kind, multi-use facility with a charm and heritage unlike any other. Each year a new decorating theme is chosen and the outside of the Corn Palace is stripped and redecorated with new corn and grains. Over the summer, 3,000 bushels or rye, oat heads and sour dock are tied in bundles and attached. When the crop is ready, roughly 325,000 ears of corn are sawed in half lengthwise and nailed to the building following the patterns created by a local artist. All summer long you can watch this unique decorating process being completed. The Corn Palace is known around the world as a folk-art wonder on the prairie of South Dakota.